A number of games to report on this week with our Firsts, Seconds , under 14’s and under 10’s all in action. As we indicated last week we have recently introduced weekly honours boards for our Seniors and Colts which recognises achievements for the team and some personal milestones. Congratulations to the players who made it onto the boards this week. Please click here to see a note from our Head of Senior Cricket James Sadler to all the ladies connected to the club. We would like to invite you all to a ‘Pimms and Proseco’ afternoon at the Green on 3 June to socialise and enable us to become a more integrated club which we feel is somewhat lacking. Whether you are a helper,scorer,administrator, wife, girlfriend or anyone connected to the club please feel very welcome to this event. Those who have been involved with cricket for a while will know that scores for all matches are entered onto what is known as the ‘Playcricket website’, an ECB sponsored website which collates data from all games played by all clubs throughout the country. Cricket clubs are in turn are each provided a customisable website which is able to access the stats produced by the ECB . 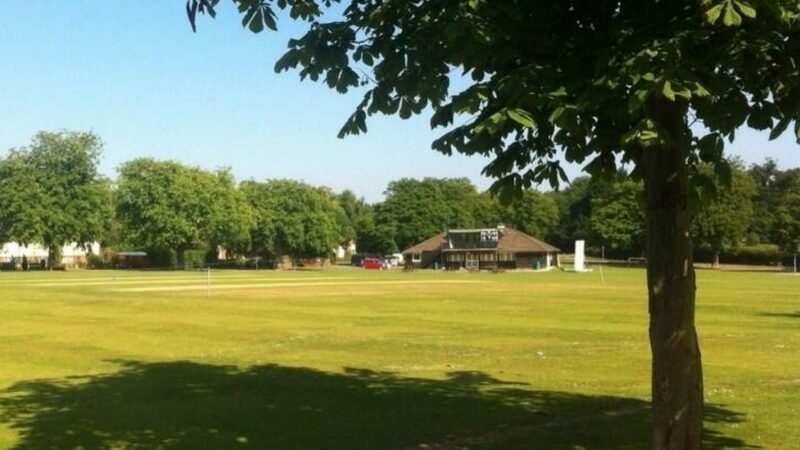 Our Playcricket website’s address is http://wisboroughgreen.play-cricket.com/ – the link to which can also be found from our main club website http://www.wisboroughgreencc.co.uk/ . Please click on the website to view batting, bowling and fielding stats along with fixtures and results , and a whole lot more. As an example of the stats available on the Playcricket website, bowlers may find the following shortcut quite useful : http://wisboroughgreen.play-cricket.com/website/web_pages/101906 . The bowling stats can be filtered for a specific age group , and then sorted for best strike rate/averages/economy, etc by clicking on the respective columns in blue. Pure heaven for those who love their data and comparing performances. Click here to see the list of players who have been selected to represent us in the senior games this weekend. In this week’s news we report on ‘The battle of the Green’ as the firsts took on Barns Green at home and the seconds played away against Arundel. In both games an oppo batsman scored an unbeaten century. What was our response ? You will have to read to find out. 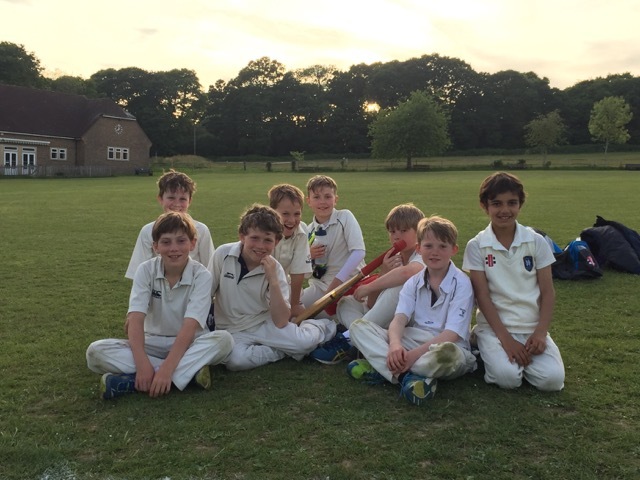 We also have a great pic of our victorious under 10 team who continue to impress. In other non cricketing news we report on a delightful must read personal encounter with Sir Roger Moore, widely recognised as the best James Bond, who sadly passed away this week. – Farmer takes a catch, shocks the world, won’t shut up about it, world becomes bored, goes home! – Thatcher & Self put on 127 for 3rd wicket as Wiz chase 200 for first time in a while. – 2’s defeated by strong Arundel side. – Tommy instructed to get on the weights after brother shows him how six hitting is done. Super catches by Ran and Tom. Pic of the players At Barns Green. Well done lads ! We were saddened to hear of the passing of Sir Roger Moore this week, arguably the most successful James Bond. Click here for a delightful article on a personal encounter with the great man. A local derby awaited Wis this week as Barns Green visited from just up the road. The ground was looking excellent, especially considering the amount of rain that we’d had in the days prior to the game. Head Groundsman JP and his assistant Rob Knight had put in plenty of work and as such the wicket was in good shape all things considered. The home side won the toss and captain Sadler chose to bowl first. New ball pair of Jonny Farmer and Ben Thatcher bowled very well early on. Thatcher taking a wicket in his first over and Farmer getting his first wicket a few overs later. BG were battling hard though and although not scoring very quickly they were determined not to give their wickets away. The score had moved on to 50 and Green were looking for something special to give them another wicket. Self proclaimed superstar Farmer then stepped up. Bailey of Barns Green was slightly early on a defensive push and nudged the ball back towards the bowler although very low to the ground. Farmer dived and took a sensational one-handed catch in his follow through. Never has a catch been greeted with such a combination of delight, astonishment and devastation.….…….by the same team. Those of you who have not seen Farmer since last Saturday would do well to steer clear for the next few weeks as that’s all you’ll be hearing about. Farmer completed a 15 over spell conceding just 23 runs and bowling 9 maidens. A sign that after 30 years he is finally maturing as a cricketer. Well a bit anyway. Sadly Farmer wasn’t as well backed up by the other bowlers as he should and Barns Green started to get a foothold in the game. The BG number 3 Jay Dumbrill played an excellent know. He came in in the 1st over of the match and batted right through the innings for an unbeaten 113. The visitors finished their innings on 199 for 5. A good score on a slow wicket. Napper and Rainford both with a wicket each. Also a mention to DJ Dominique who’s fielding throughout the innings was superb. After another sensational tea which this week included chilli, Wis set about trying to knock off the runs and secure a win. Nothing less would do as they had failed to secure any bonus points in the first innings. Byron Napper and Jack Carter opened the innings and both looked solid early on. 27 runs were on the board when Carter departed clipping the ball in the air to short backward square. Napper was joined by Self at the crease who looked a little shaky early on. However it was Byron who was next to depart for 26 bowled through the gate by Dumbrill. In what turned out to be an inspired move by captain Sadler, Ben Thatcher was promoted to number 4. He and Jamie took their time to settle in but slowly began to build a partnership. After the drinks break mid way through the innings they began to up the pace. Thatcher hitting the spinner for a big 6 and Jamie followed suit a couple of overs later. By now both men had their eye in and the boundaries began to flow. Thatcher was particularly harsh on Dumbrill taking him for 18 in one over. The pair added 127 for the 3rd wicket before Thatcher departed for 78. Jamie was joined by Doddy (18*) who was in no mood to slow things down and they knocked off the last 31 runs needed to complete an excellent win with 2 overs to spare. Jamie finishing unbeaten on 67. View from the skipper: Opening spell by Thatcher and Farmer was excellent. The next 15 overs was pretty ordinary not to the level we aspire. Giving away 100+ runs. The batting was excellent with Thatcher and Self batting with confidence at last! Seconds gave a spirited performance but came off second best to a strong Arundel side. With a couple of late drop outs, and a Friday night and Saturday morning of calls and texts the Wizzy XI arrived at Arundel hoping for some stellar (no not Stella DJ! :) individual performances from some of the team. The skipper won the toss, and after all the rain of the previous couple of days put Arundel in to bat. The pitch looked a little damp and there was hope that the opening bowlers might extract some movement and the odd bounce from it. Joel opened up from the top end and was right back in the groove bowling a good line and length and with a bit of movement in the air. Leon opened the attack from the other end and bowled with plenty of spirit with some good balls. However Arundel were intent on attack and attack they did, with Alex Moore particular harsh on anything short or over pitched. The introduction of Tommy Colbran reaped immediate rewards with “Leon the Hands” taking a good catch getting rid of the dangerous Moore. A few overs later the pair repeated the trick and with Luca bowling a really good line some control was restored. With drinks taken at 20 overs the game was evenly poised with Arundel 84 for 2. The next phase of the game was going to be crucial, Wizzy needed to get out Ian Ritchie who was doing a more than adequate impression of WG Grace in more ways than one, and take a couple of wickets, or stifle the scoring and create pressure. However WG turned the screw and started scoring more freely. A few too many short balls feeding his strong pull shot. The dangerous Barrie was at the crease and the score started to escalate, but a spell of bowling from Joshie that showed the virtue of bowling straight and pitching the ball up saw for him. Arundel were on the attack and went for it in the last few overs with Leon picking up a well-deserved wicket, however with WG rolling back the years and scoring an unbeaten century Arundel posted a big score. The great thing was that in the field no heads dropped, effort was shown throughout the innings with balls being chased. It was also great to see that all the bowling was done by teenagers and they will only get better from the experience. The game was very similar to the one at Chichester earlier in the season and to win the match one of the openers and someone else needed a big score. Would the batting be more Stella than Stellar? After the first 5 overs or so the run rate was almost negative as the Arundel openers bowled a very accurate spell. However, by 10 overs the cod liver oil and the anti-inflammatory medicines had started to kick in and the senior opening partnership of Grey Bear and SCS had pushed the score to 43 for 0 and a platform was being created. The introduction of the wily Parmar did for the bear beaten in the flight. Tommy was promoted to 3 with instructions to try to build a long innings and play second fiddle to whoever came in. He started well and looked comfortable. All was going well until SCS pulled a four ball straight to a fielder and Leon departed soon after. The game altered as the two Colbran brothers were at the crease. Joel took the game to the opposition hitting sixes with apparent ease. The score raced to 129 for 3 with 15 or so overs left and with Tommy looking class and Joel looking deadly there was a real chance. Never dare to dream in cricket… Tommy tried to out hit his brother instead of stroking the ball as he had done to now and was caught for a well-made 24. Soon afterwards Joel fell for a well-made fifty and with these two gone the chances were against the team. The bowling was harder to hit as new batsmen came and went and soon the task was too great. Wizzy fell to a defeat. A cameo by Jacob showing his potential with the bat. Well played Arundel, too good on the day but well played also to the Wizzy side who showed potential and a lot of promise and effort. It was a pleasure to play against you.